Useful paperwork to take with you: All of these (Copy of birth certificate, passport/visas, European Health Insurance Card (EHIC), etc. ), translated officially to French. Get a certificate of attendance from the school and a certificate of residence from the residence office as soon as possible when you arrive. Local bureaucracy, language issues: In France it is possible to apply for living funding from an institution called CAF. The financial help is guaranteed to almost all students but it’s hard to get. Make sure you have all of the above-mentioned documents properly translated by an official when you are in London, or ask the Montpellier humanities department to do so (London definitely quicker option). Financial matters: I didn’t find the financial aspect of living abroad particularly hard compared to London. You might want to open an account with the same documents as I previously mentioned, again translated. LCL (Le Credit Lyonnais) offers a good deal for students, that includes quite cheap personal and house insurance (compulsory in order to live in halls). Also I found it quite easy to close my account with them at the end of the stay. Social Activities: Montpellier SupAgro has a small, tight student community. Make sure you’re not scared by the fact that the people there seem to all have known each other for ages. They are really interested in meeting outsiders!! Also there is no need to join the clubs and societies, just attend! They are particularly into sports and most of the students either do rugby or handball so it’s good to join one of these teams (or any other). Food, pubs clubs, bars: Social interacting on campus is really good, try the Ambuscade (the student bar) or some of the pubs in town such as Rebuffy or Temple Bar. The clubs are all pretty far away (and in my opinion not particularly good), but there is a free night bus (the Bus Amigo) that does rounds between all the clubs and the centre of town. Accommodation: Make sure you get a receipt of all payments! They are a bit random about this! Also there is no need to invest in high-quality pots and pans as the kitchen is really small and doesn’t inspire much cooking. Get together with other students/your neighbours and be the one that brings drinks is my main suggestion as the French people will have ovens and stuff from home and you won’t. They give you a bed and furniture, but much like halls at Imperial you need to provide all bedding. 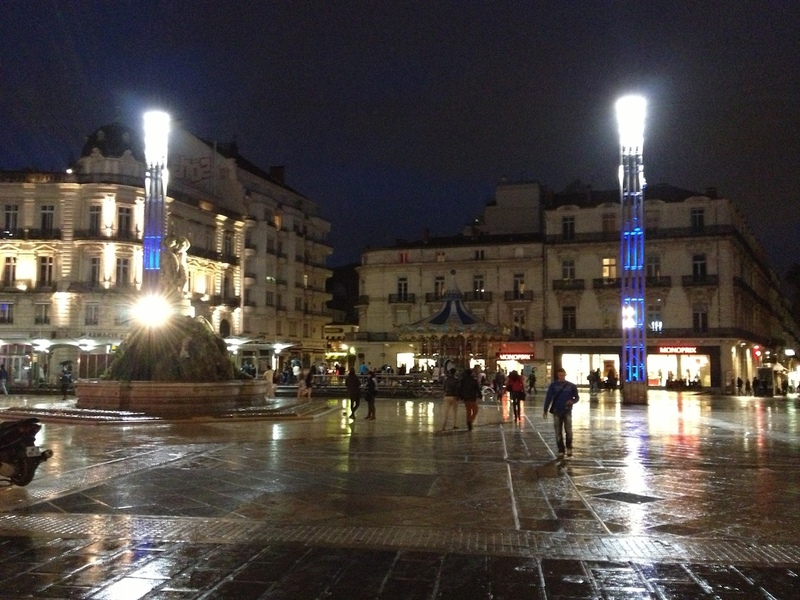 Local places worth a visit: Montpellier is a lovely city. The centre has three lovely church squares (Sainte-Anne, Saint-Pierre and Saint-Roch) and it’s worth going there even just to hang out. The main square: Place de la Comedie, is not particularly pretty but it’s full of shops and connected to the Esplanade Charles de Gaulle (where students hang out in the evenings) and the Polygone (the main shopping centre in town). The Jardins de Peyrou are the day equivalent of the Esplanade (especially in the summer) and the rest of the city centre is generally a must. The Antigone is the new part of the center, it was built in block by a Spanish architect to resemble neo-classic architecture so it’s quite interesting to see. It has an Olympic pool and a nice library, but it’s quite far from campus. For big shopping trips (like H&M or IKEA) there’s Odysseum, a big shopping center outside town, connected to the campus by the bus La Ronde, which stops outside the residence. Things to avoid: Not much, just give everything a go! Where to go for help: Madame Mornet and Jean-Claude Davidian for academic purposes. Otherwise other students. Most of them, for example, are quite happy to share the car journey to the supermarket (there is a big Geant 20 minutes away on foot but it’s hard to come back if you have a lot of stuff, alternatively there’s a closer Lidl but it’s not very good). Health matters: I continued to go to my home doctor as I never needed any medical help but information is provided and there are several private studies in the campus area. You have to pay but you can claim the money back, I don’t have any other details. There is a hospital (Saint-Eloi) close to campus. It can be reached on foot or with La Ronde (it is also where the nearest tram stops). Comments on any courses taken: The Environmental Economics course and the Agricultural Ecology courses are the most interesting course there. They are well structured and taught by some great lecturers. Unfortunately they are both partly taught in English. Avoid the Socio-Anthropology course, it is definitely not for biologists, even so, the main piece of coursework involves interviewing farmers and locals about several topical issues such as GM crops and organic farms and this is a good way to challenge your French. Comments on project/lab: Try and find a lab within SupAgro rather than an outside one. The school is very well structured and efficient for French standards whereas the other research institutions (mostly part of the local university) aren’t that much and will require a lot more organisation on your part. Preparing your report write-ups: Scientific report is quite similar to Imperial write-ups but keep on top of it as it might come as a bit of a shock after not having written one for a year. The cultural report for the Language for Science course is long and intense. Make sure you find a topic you really enjoy otherwise it will be hard to write. Comments on College Project Tutor visit: It’s nice to see a familiar face while you’re abroad. Preparation for final year while abroad: Try and make your mind before you leave but be prepared to change your mind as you might find other things you like while in France. Don’t just take it as a break but try and use the year to learn more about what you like doing academically. SupAgro is very different from Imperial and if you don’t embrace that it will be difficult to find something that stimulates you academically. Also, ask your friends that have stayed at Imperial before making your choices, it’s one of the great advantages of graduating a year later. Any other suggestions or comments: I am currently experiencing a bit of Erasmus blues as I had a great year and I would recommend the experience to everyone. The way I sort of got over it was spending the summer in London doing the things that I love and reminding myself of what a great place it also is! 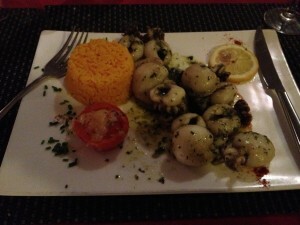 I visited Montpellier in May and had the most delicious plate of cuttlefish!